Review: This movie doesn't live up to its potential. It starts out with a group of twenty/thirty year old African Americans driving through the winter snow, mostly complaining about a family reunion being held in winter. We aren't told a lot about the characters, and there is minimal added regarding who they are as the story unfolds. 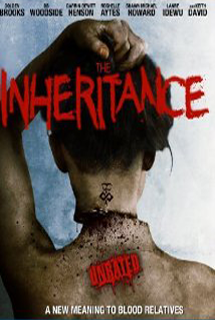 This is suppose to be a horror/thriller, yet it doesn't do too much of either. Too bad, as the cast seems up to the job, and does a fine job of acting--the story/script is just too weak to make this a memorable movie. The premise of a family that lets their children be sacrificed is difficult to swallow, and doesn't make sense as far as sustainability of the family line...sooner or later the family tree would have to stop growing branches.